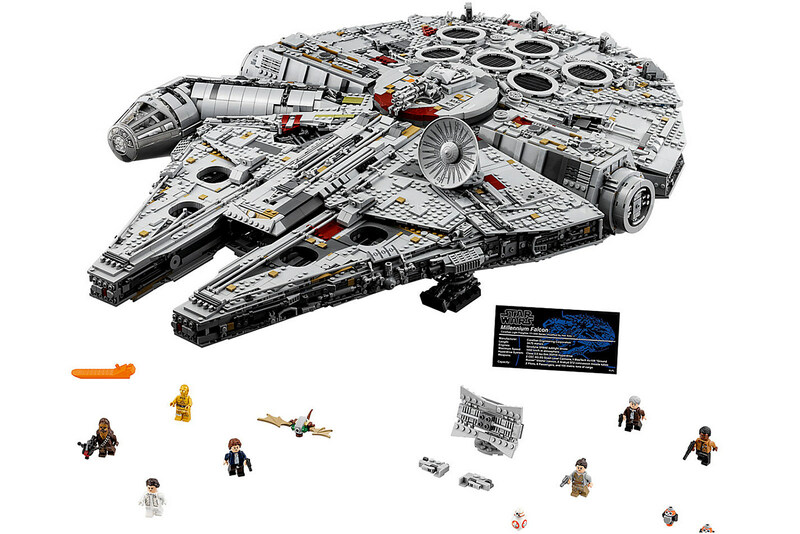 In addition to announcing a boatload of new LEGO Star Wars products coming to tie into Force Friday II, LEGO finally revealed the rumored revamp of its Ultimate Collector Series Millennium Falcon set. 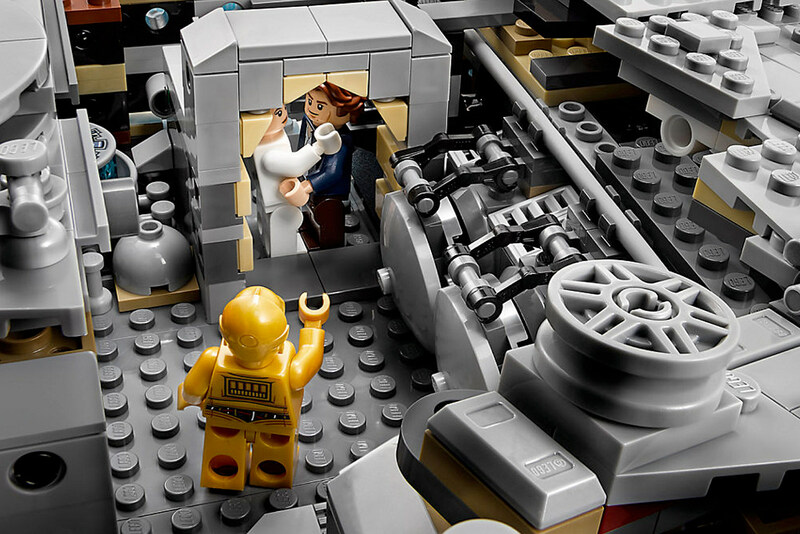 Originally released in 2007, the Millennium Falcon set was one of the most sought-after LEGO vehicles ever sold. In the last 10 years however, it’s been impossible to find at a fair price. 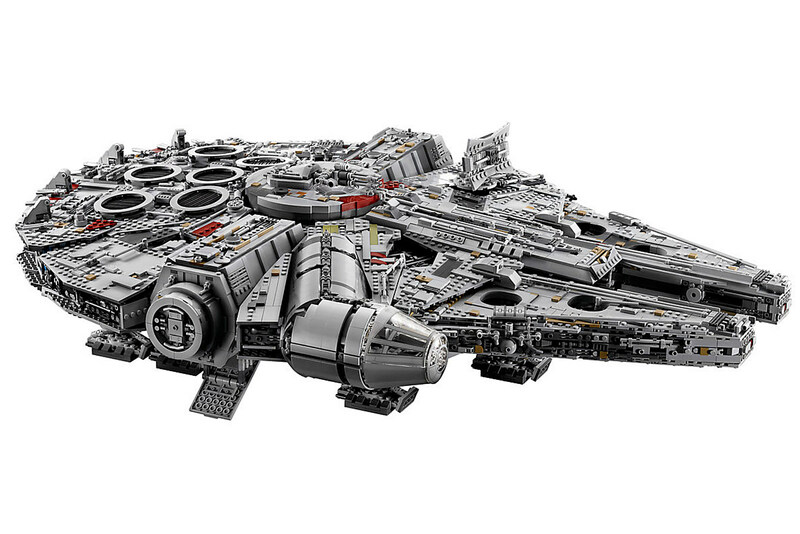 Now on the verge of the ninth proper Star Wars film release, LEGO is releasing an all-new take on the Falcon that is not only the company’s largest set ever, it’s also frighteningly amazing. 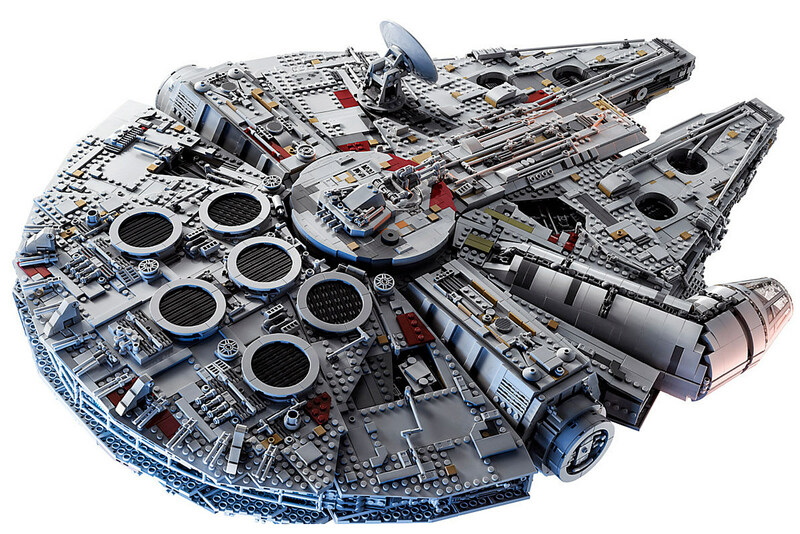 The upcoming Millennium Falcon Ultimate Collector Series set weighs in at a beefy 7,541 pieces, which outpaces the former largest set ever, the Taj Mahal (5,922 pieces), by quite a bit. Not only is the largest thing you can buy from LEGO, but it was so huge, LEGO had to design an all new bag/box to give customers who picked up a set at one of its stores. The set, which is 8” tall, 33” long and 22” wide, will certainly be the centerpiece of whatever room you decide to display it in, and not just because it’s probably the only thing you can fit in that room. 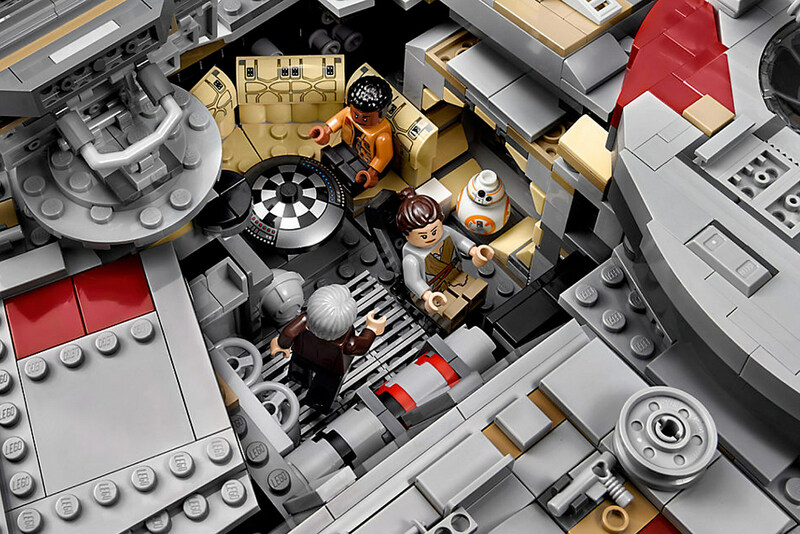 It’s plenty large enough to fit all eight of the minifigures included, all of which span the Star Wars saga. Not only will you be able to work with Finn and Rey, but classic Han Solo, Leia Organa and C-3PO will be along for the ride too. Porgs and a mynock make an appearance as well, giving you plenty of display options depending your mood. 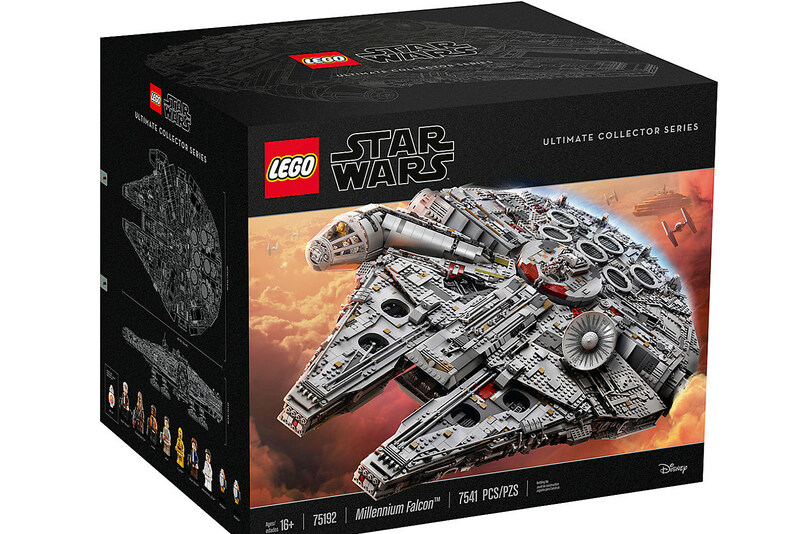 The LEGO Star Wars Millennium Falcon Ultimate Collectors Series Set - 75192 goes on sale October 1 for $799.99. That might sound like a lot today, but once this thing goes out of print again, you can better believe the second-hand market will be asking for at least double. If you even have one inkling of possibly owning this thing, better get your finances in order fast. Or sell a few kidneys.